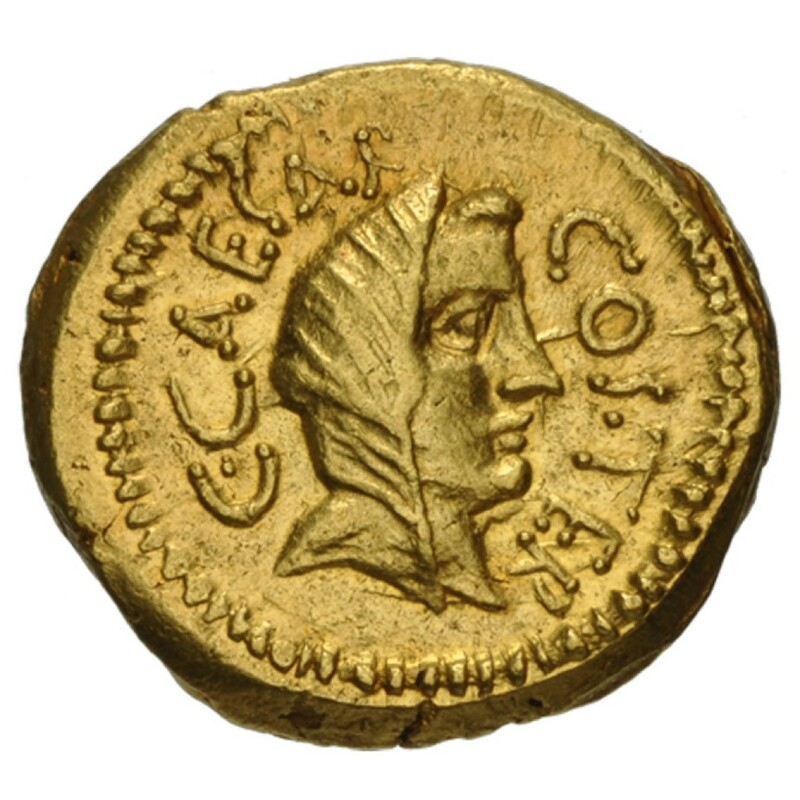 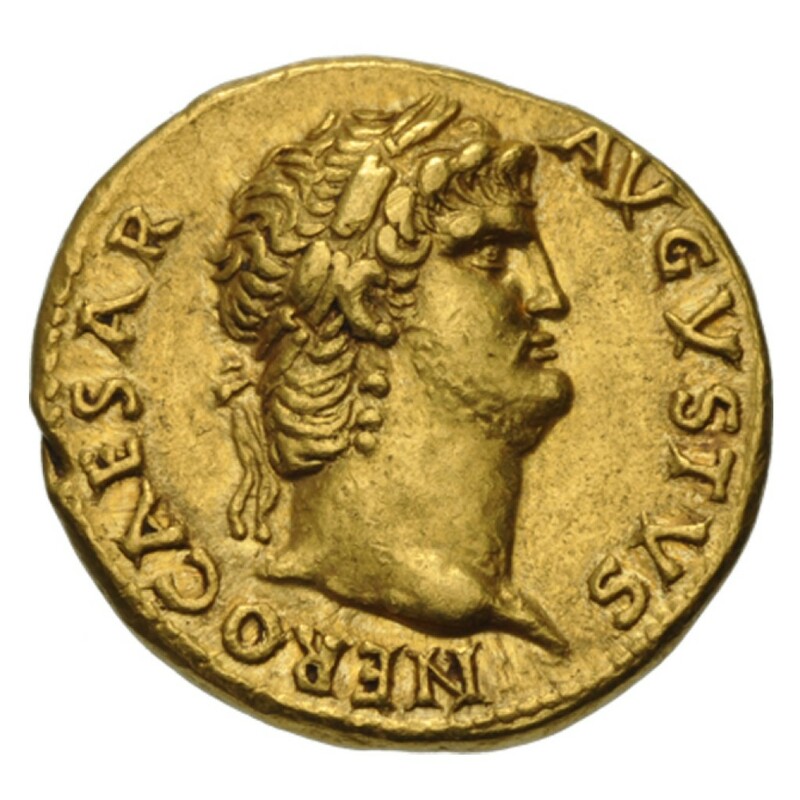 Style tended to be more fixed in the coinage of the Roman Empire, but the beautiful examples of gold aurei at Mougins are no less ideological in their pictorial and textual intent. 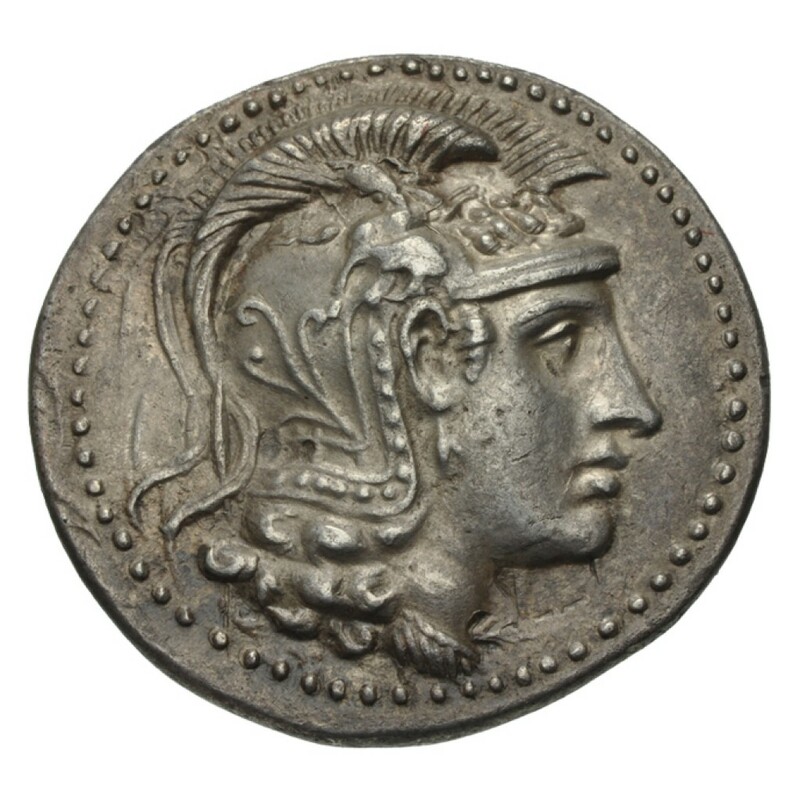 In the second half of the sixth century BC, almost all the minting cities of Asia Minor (modern Turkey) used silver coins and this currency rapidly spread across the Aegean, to the mainland, and to Southern Italy and Sicily. 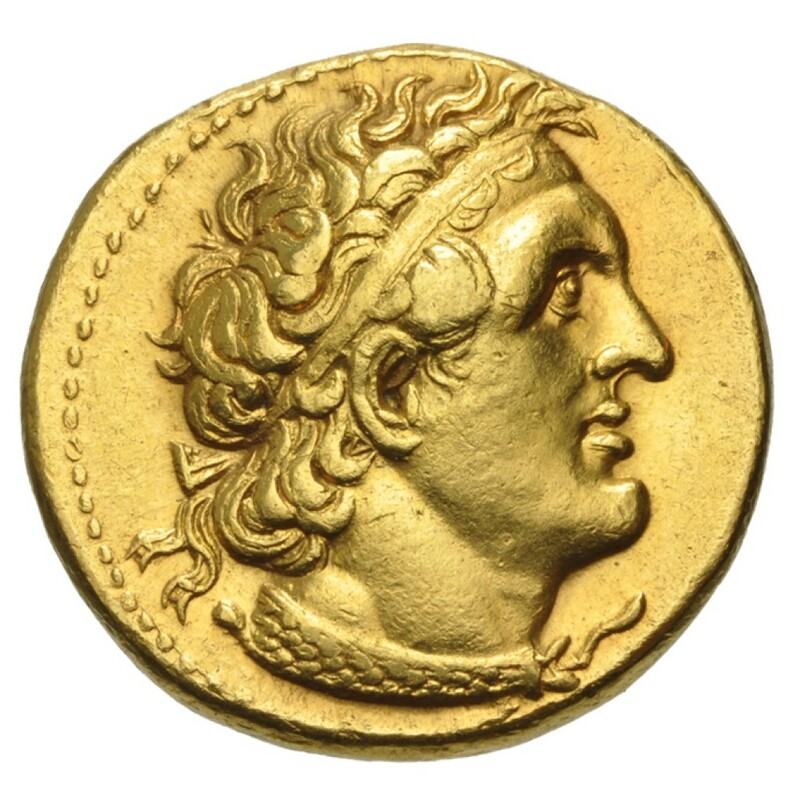 The production of gold coins in the Greek world came later, especially in the Hellenistic period under Philip II and Alexander the Great. 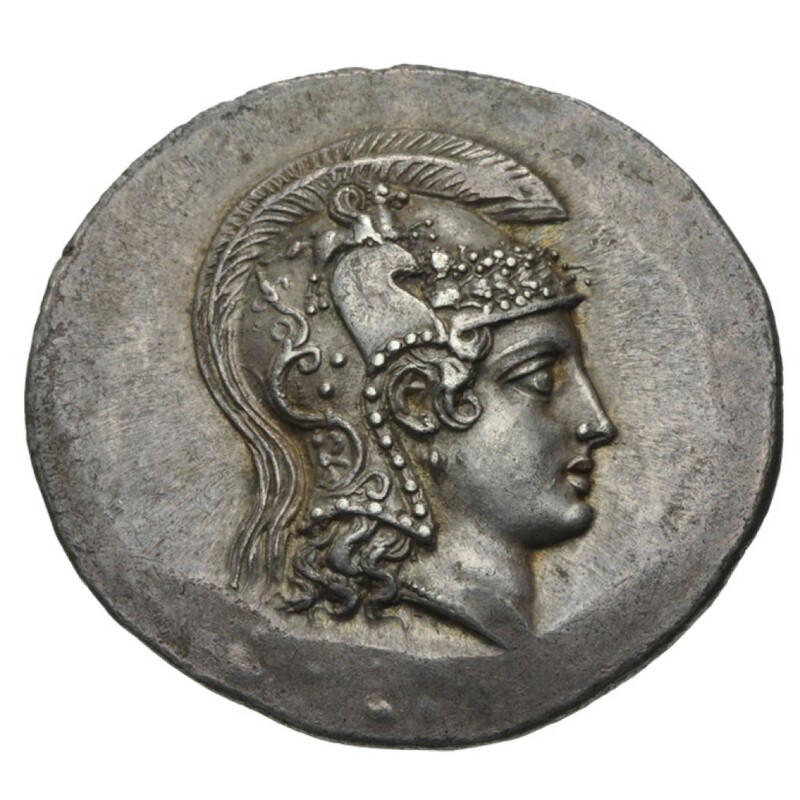 Greek coins vary greatly in character, but were commonly religious, representing patron deities of issuing cities as portraits, figures of gods and goddesses, or the characterising symbol or attribute associated with the deity, for instance: the owl of Athena or the eagle of Zeus. 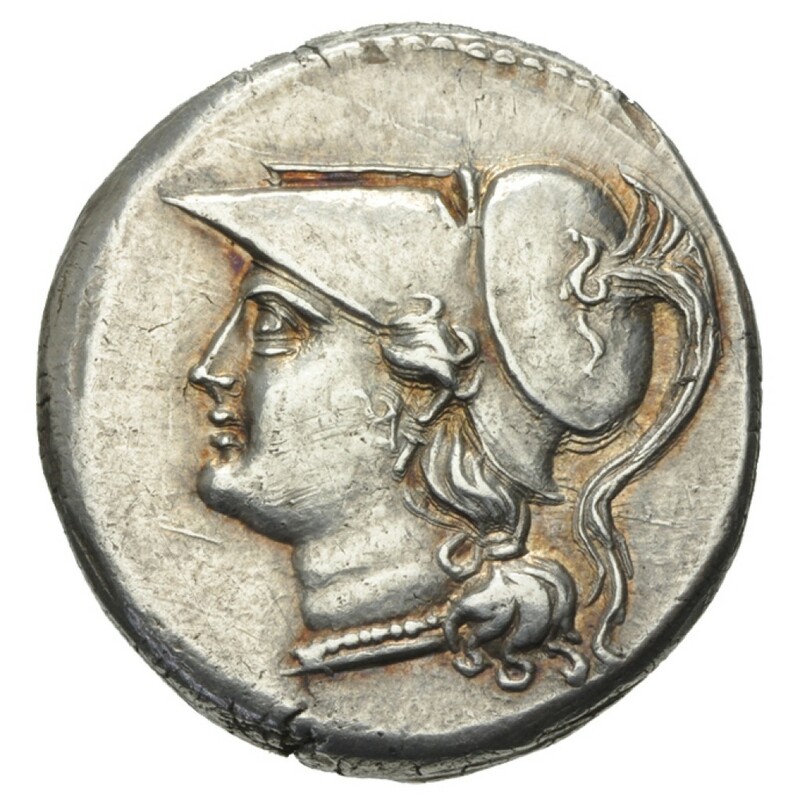 Imagery was also mythological, linked to the foundation legends; for example Ajax on the coins of Lokris, Pegasos on the coins of Corinth, and Leukippos at Metapontion. 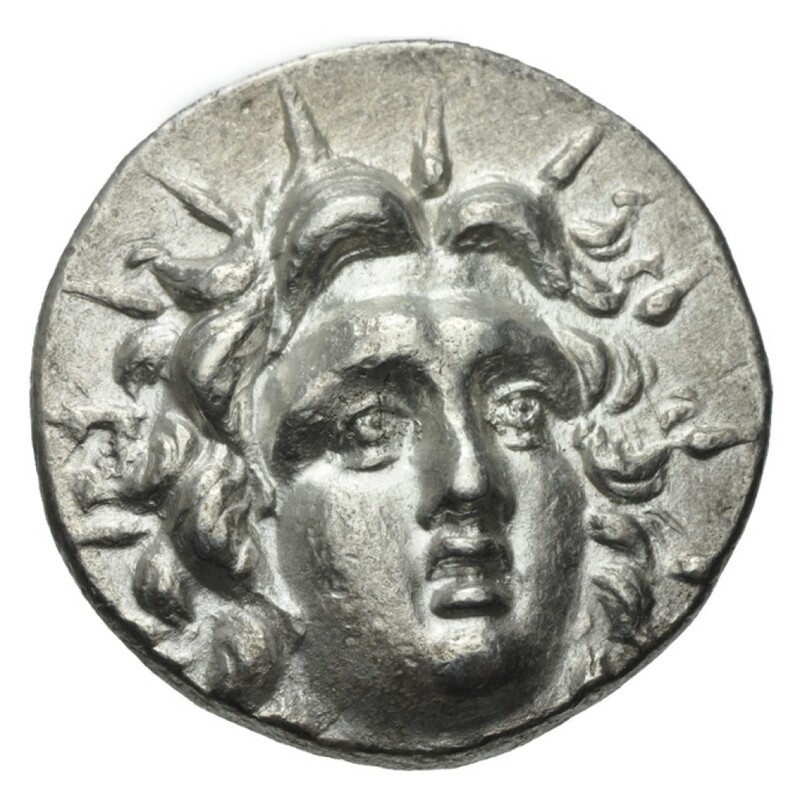 Motifs could also be related to a local product or celebrate something the city was famous for. 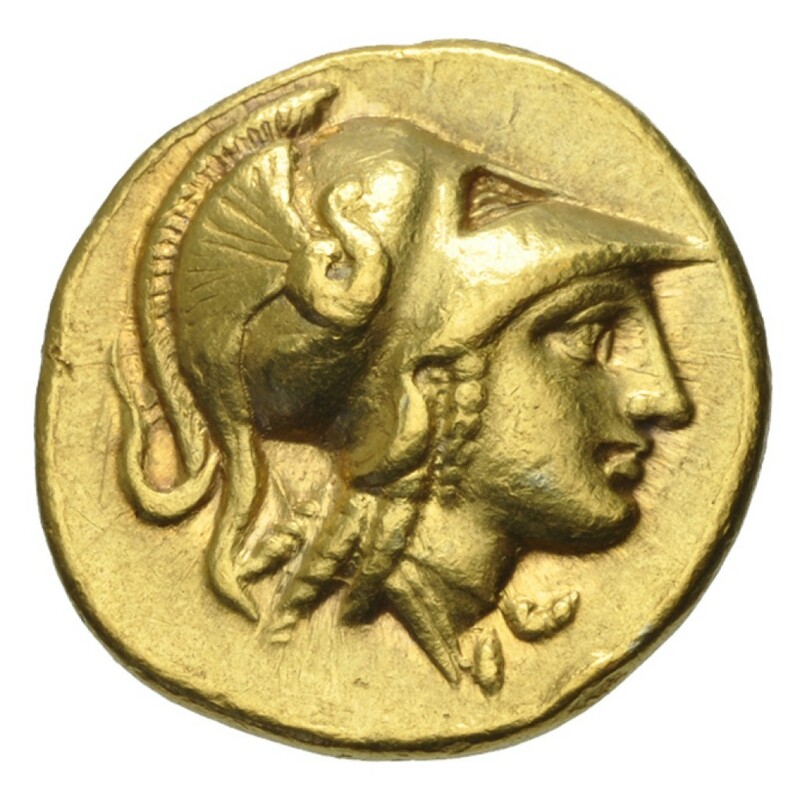 For example, the barley of Metapontum, renowned for its rich supply of grain, the shields on Boeotian coins. 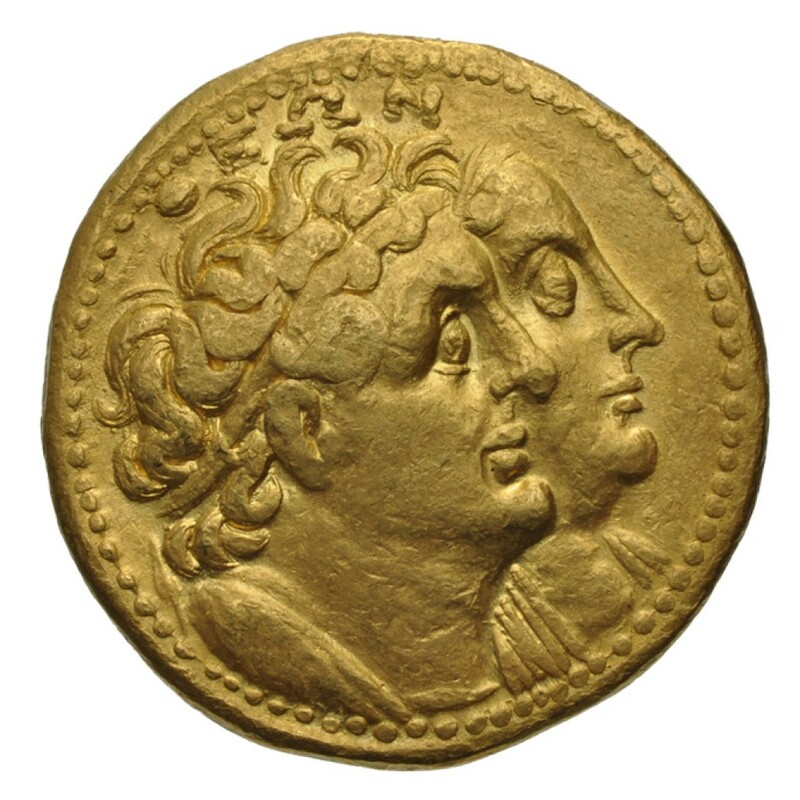 Royal portraiture developed in the Hellenistic period after the death of Alexander, notably under the Ptolemies in Egypt. 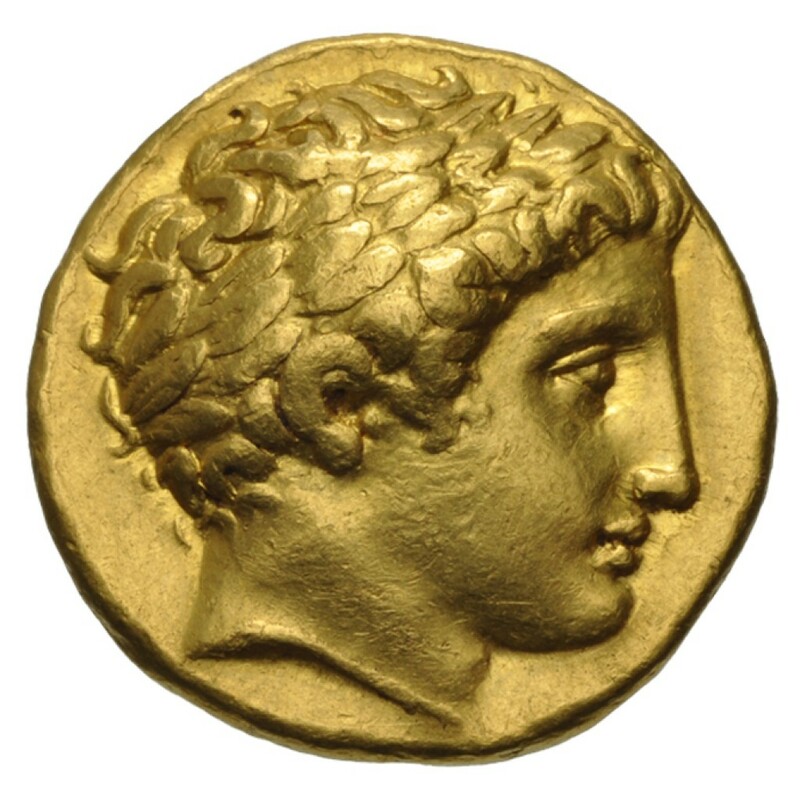 During the period of the Hellenistic kingdoms many Greek cities continued to strike their own civic coins. 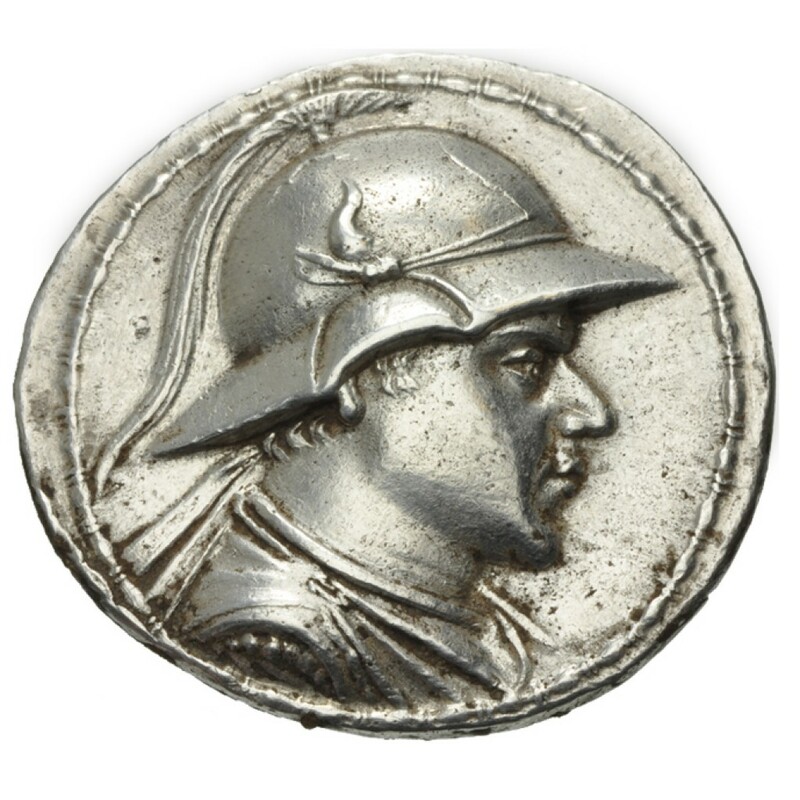 By the first century BC the expansion of Rome replaced recognisably Greek coinage. 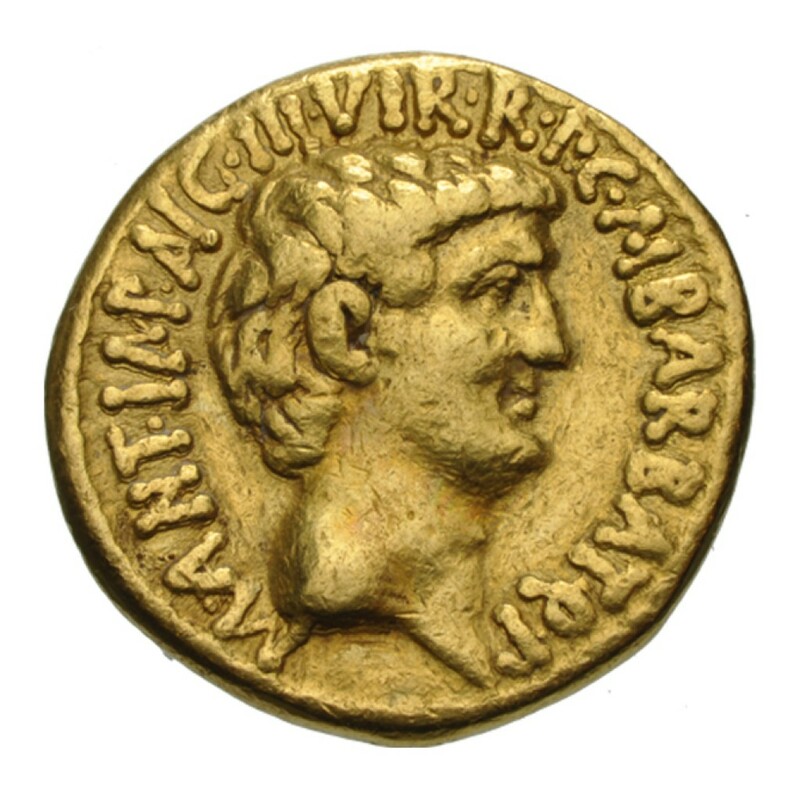 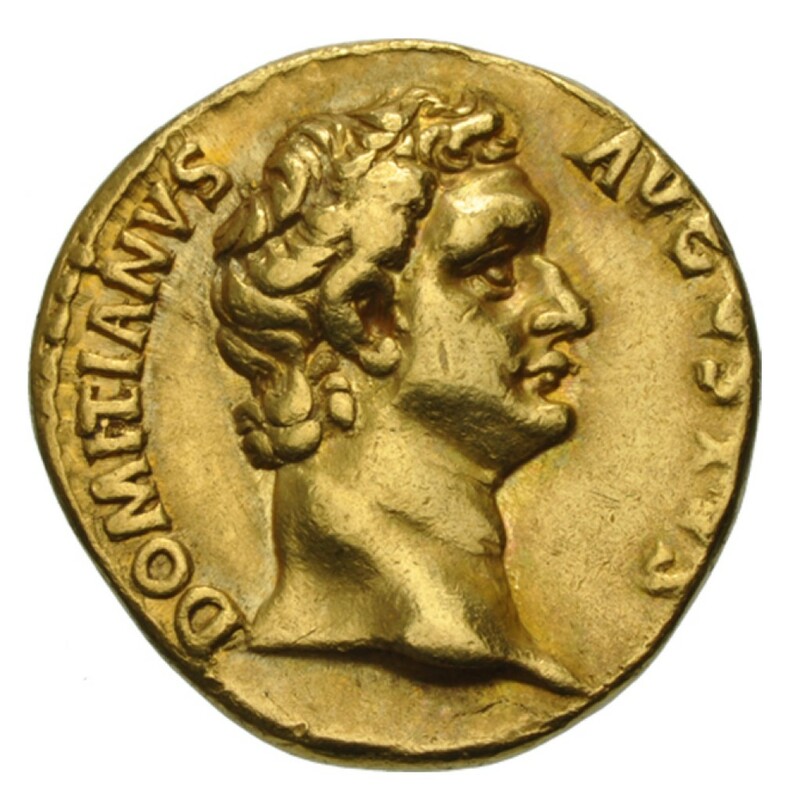 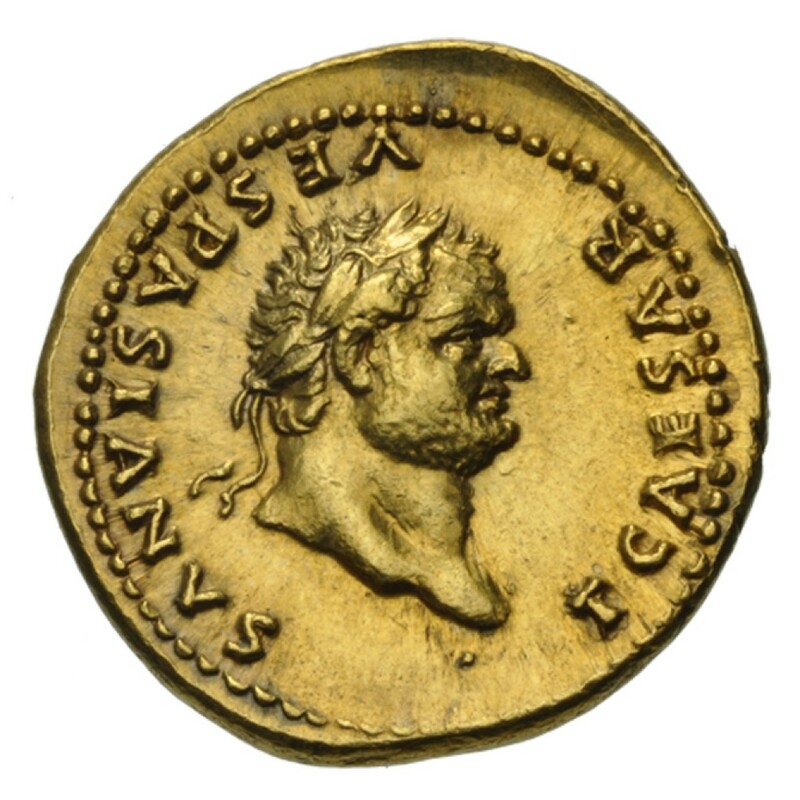 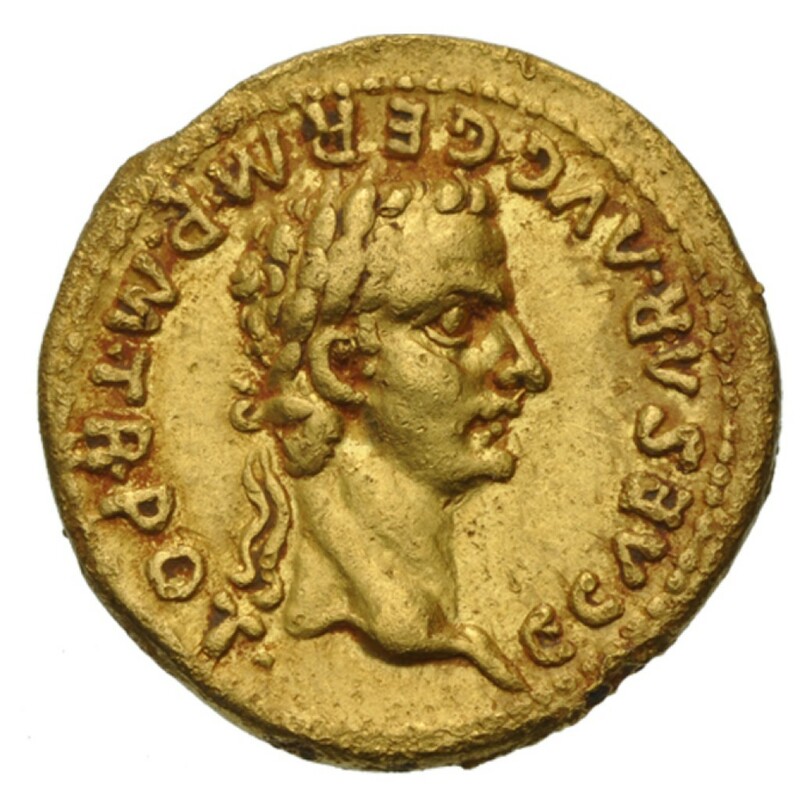 On the accession of a new emperor, coinage was the most effective and rapid means of circulating his identity across the Empire. 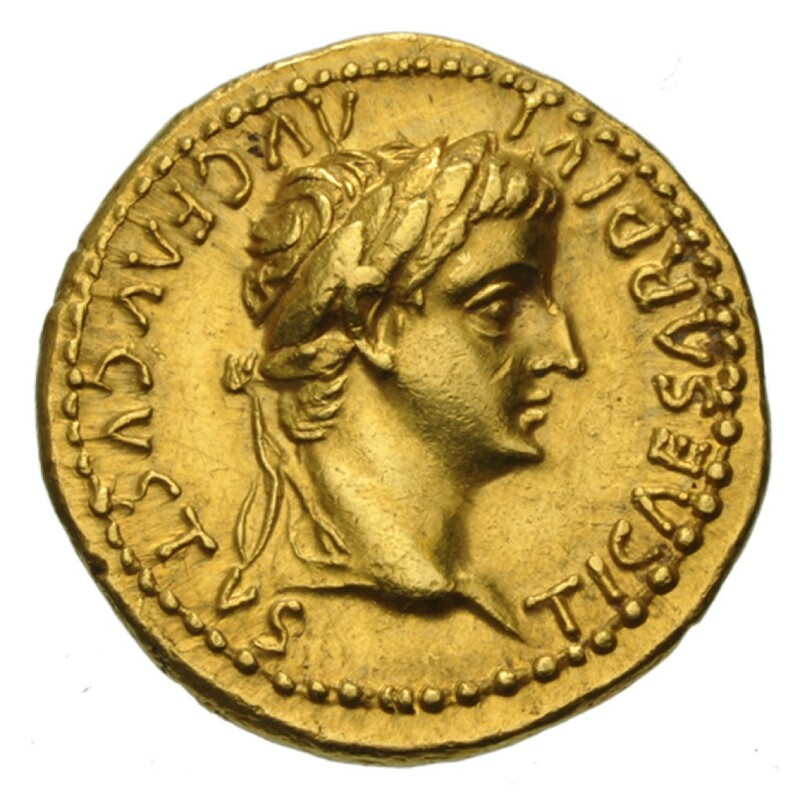 The reverse of the coin of Augustus provides an interesting statement in its own right, since depicted on its reverse is the culmination of the successful negotiation of the military standards lost to the Parthians. 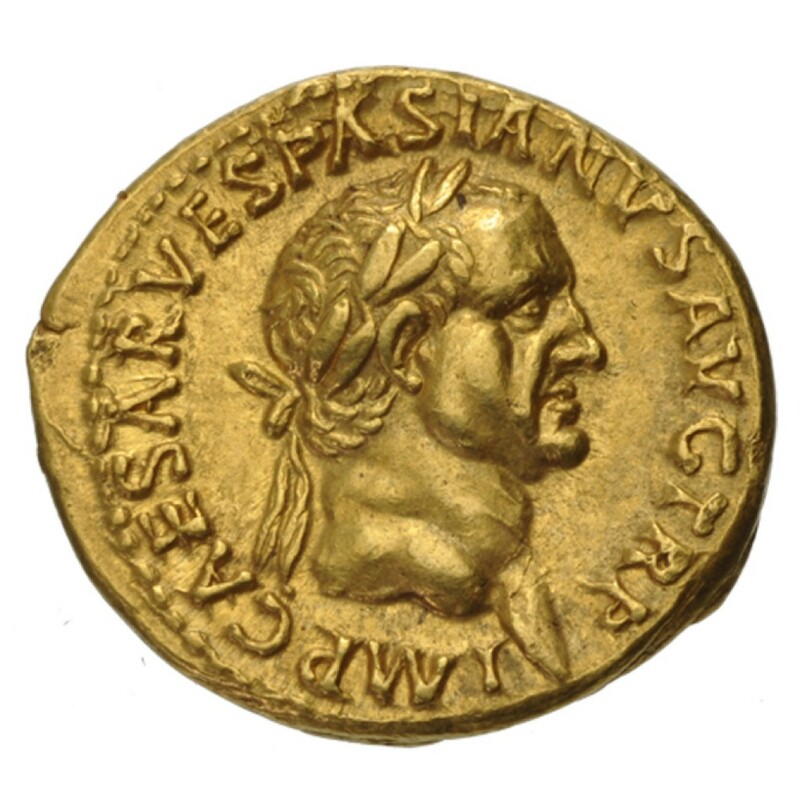 On the reverse of the coin of Trajan the image of the greatest forum every constructed is unambiguous equates with the gravitas of the emperor. 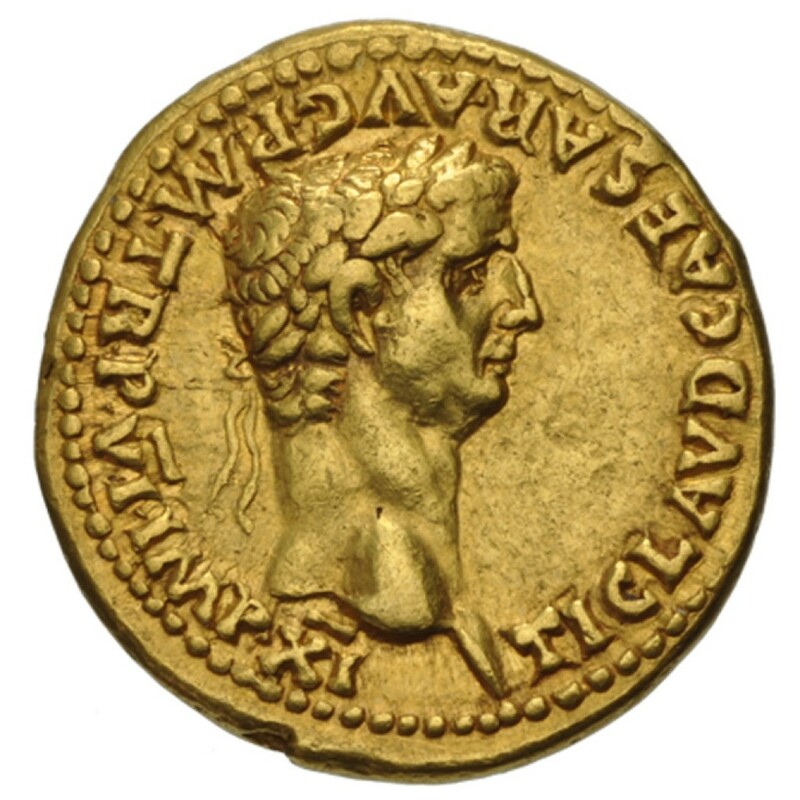 Potent expressions of this nature were typical until the Christian emperors commonly supplanted this with images of the Globus Cruciger. 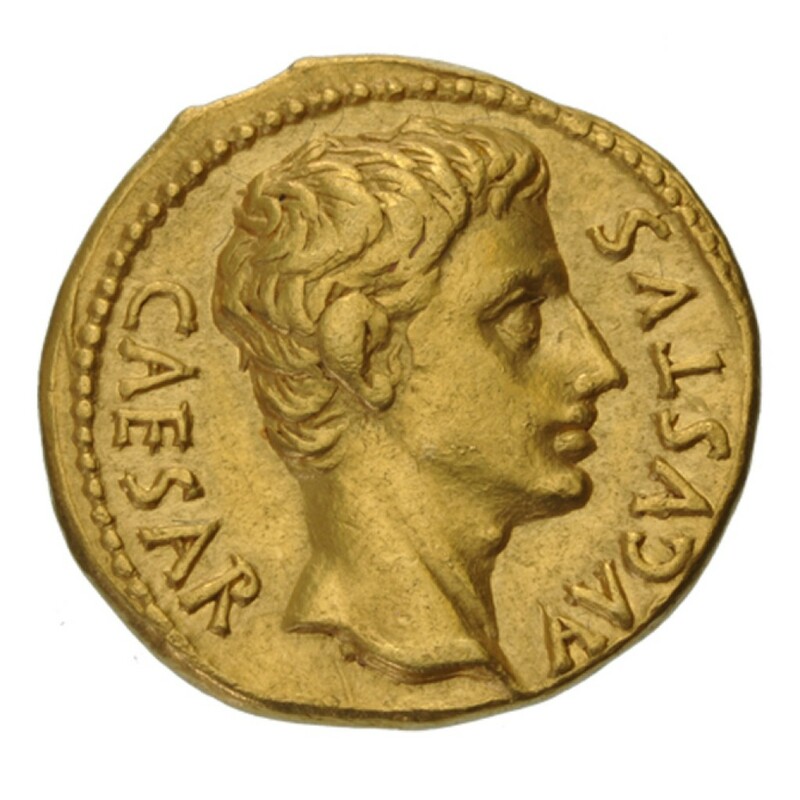 This comprised an orb surmounted by a cross, essentially this granted divine rule to a Roman emperor, and created a universal ideology in this way.